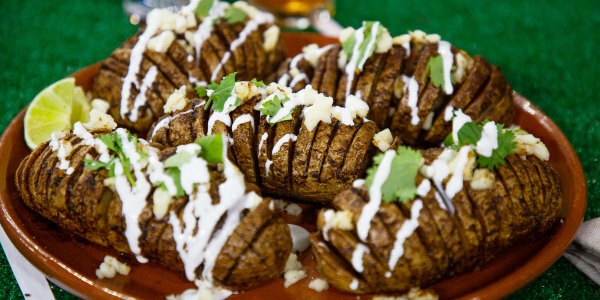 The Grill Dads share their game-day recipes for Mexican-style baked hasselback potatoes and steak tacos with tomatillo salsa and Oaxaca cheese. 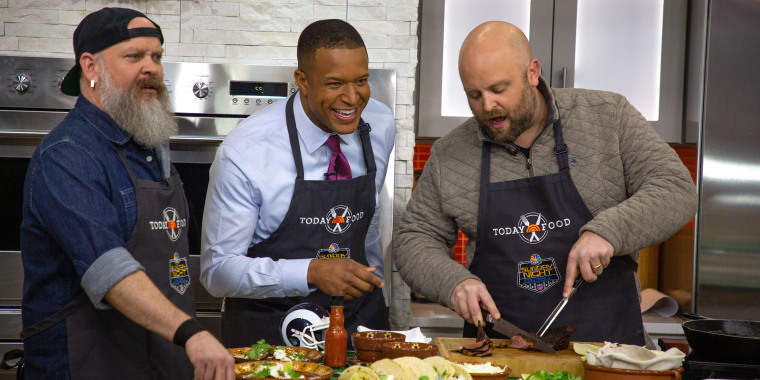 Football season is on and Ryan Fey and Mark Anderson — aka the Grill Dads — are stopping by help us celebrate with the next installment of our TODAY Food Loves Football series. 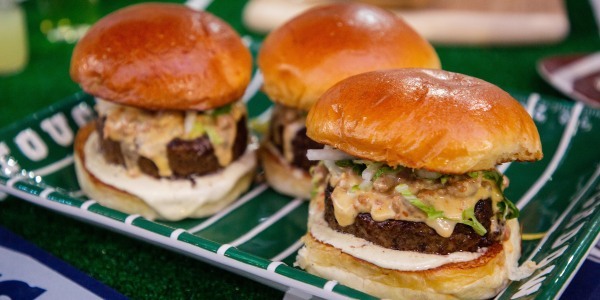 These recipes are perfect for watching the Los Angeles Rams face the Chicago Bears on Sunday night — or really for any gathering. They're cooking up hasselback potatoes with a Mexican twist, plus steak tacos with tomatillo salsa and cheese. 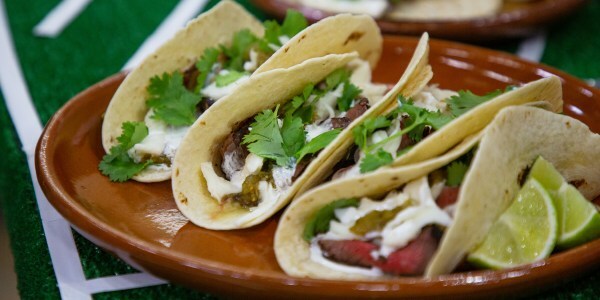 Hint: Both recipes call for limes, Mexican crema and cilantro so be sure to get plenty of each. Any extras can be used for nachos or more tacos later in the week. "We love that this recipe puts a new spin on the baked potato, and you can make any twist you like," say the Grill Dads. "It's also great for parties — you can do most of the work in advance with easy clean up!" 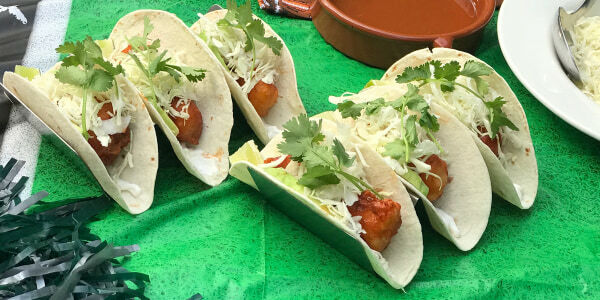 "Everybody loves tacos, but we love these because they are stuffed with juicy, tender steak that will make you feel like you ordered tacos at a high-end steakhouse."